I have been in Suffolk this weekend. This county is a wonderful contrast of landscape and seascape. At Southwold yesterday the sun was warming and bright, sitting a little lower in the sky to remind you that we are in autumn. And driving round the lanes, dodging the pheasants and woodcocks, the colours of the leaves is breathtaking. Deep claret next to burnished gold punctuated with green. I love this season. 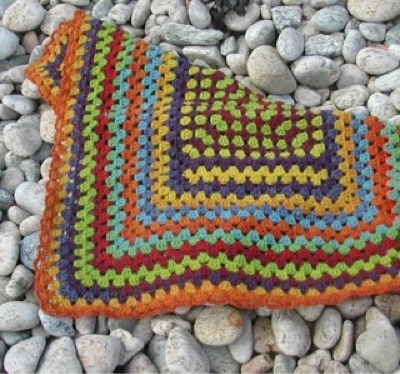 While I was looking through some images I found this shawl. I may have crocheted it in the summer but the way the colours in the Kauni yarn sit next to each other really reminded me of the colours all around me at the moment.